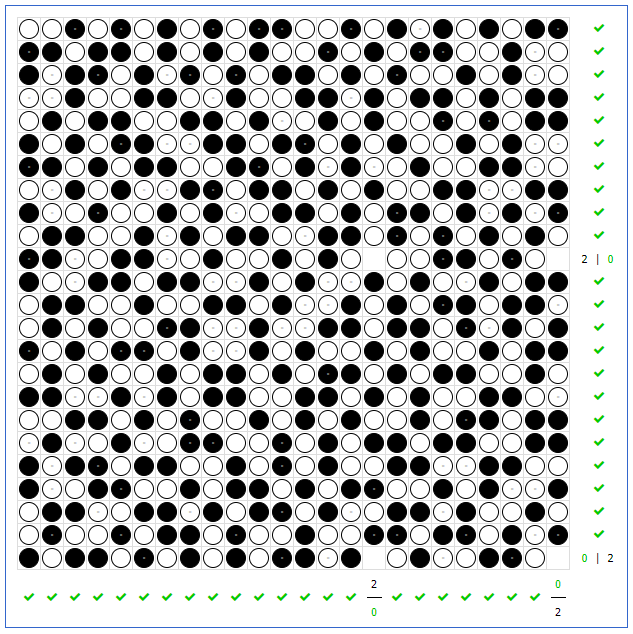 1) Each row and column must have an equal number of black and white circles. 2) There can be no horizontal/vertical line of three like-color circles. Starting from a position of fixed circles (indicated by those with dots in the center), one can complete a grid using logic. In the puzzle below, provided by this website, I have made at least one mistake (hopefully no more than one), and I know this because filling in any of the empty cells would break one of the rules. I am not asking you to solve this puzzle for me necessarily, but rather, I want to know: Is it possible to determine logically where I went wrong without starting over from scratch or randomly erasing cells? 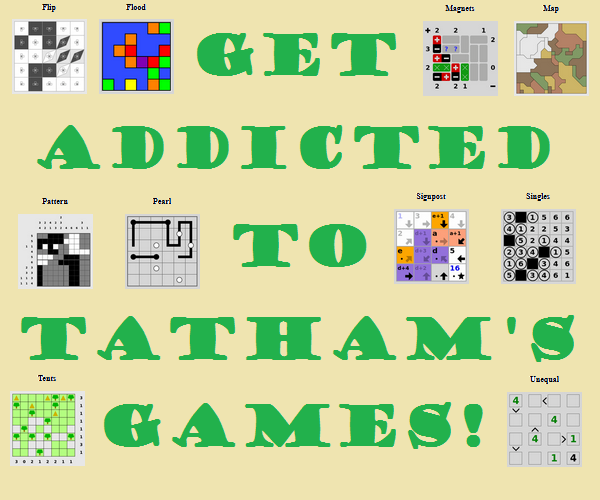 What would you do to correct your mistake if you found yourself in this position while solving the puzzle? I would be inclined to start over. However, since that's the boring answer here is a thought of how to fix it. Put a black in the top left and a white in the bottom right since that satisfies both directions. Choose one of the configurations: B in the top right and W in the bottom left or other way around. So go down the two wrong columns (or rows) and see if there is a situation where there is a white in one and a black in the other that are both unfrozen (no dot). Swapping them will either fix it or make it worse. So either fix and you're done or move on. If that doesn't work, go back to 2 and try the other way. Beyond that, I can't think of any way to find the error that doesn't involve redoing the logic from scratch. Not the answer you're looking for? Browse other questions tagged grid-deduction solvability or ask your own question. Is this “Gear Turning” puzzle on Puzzlopia always solvable?